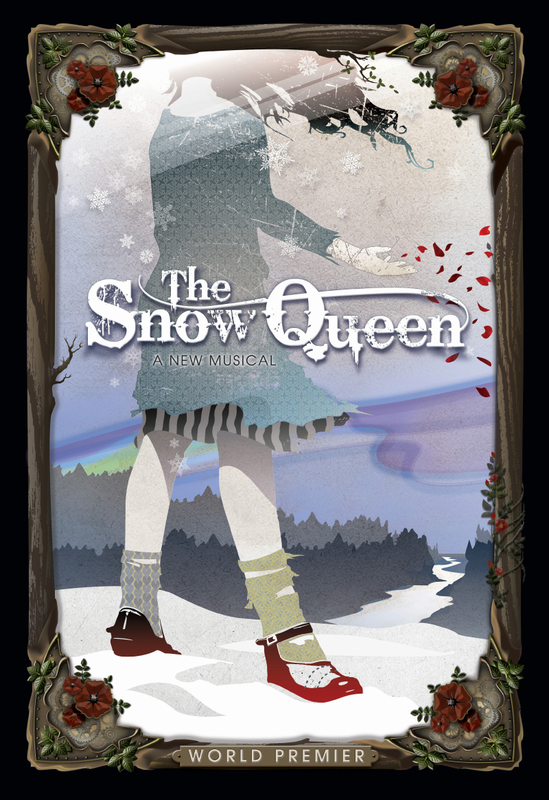 Poster in Design - "The Snow Queen"
The task at hand is the rendering of two poster concepts for the San Jose Repertory Theatre. Chris Mark of CJ Design creates one and I create the other. After reading the play at hand we then review (meeting 1) with the art director of the SJRep, flesh out some major themes and highlights, then discuss the set, costume design and musical themes. With our notes and visuals already percolating Chris and I usually wait a few days before discussing our plan of attack. Our second meeting usually consists of shuffling and dividing up bullet points from our notes. Chris as creative director prefers to deliver two distinctively different pieces of artwork – with our personal artistic approaches that goal is always met. For a day or two we push around pixels and paths, nodding, drumming fingers, undoing undoing undoing all the while with music in the headphones. A few days later and after a few knowing glances we decide to set a time to share progress. It's not much different than laying down your poker hand, though the two of us wouldn't really know what that's like cause neither of us enjoy playing cards. Wire frame concept. Working from the director's steam punk theme and the theme of the framed mirror in the tale. Composition is underway. This progress report (meeting 3) is the second part of the collaboration. It's usually the case that each of us is pretty blind to our own work and now it's time for a fresh pair of eyes and some critical words. This is fun for both of us and with good feedback, suggestions and our ability to work as a team together our inspiration is re-stoked and we are back to work looking toward our internal review deadline. Said review is always sooner than later, and for this poster, sooner is the operative word. After this internal review (meeting 4) with the rest of the office concludes, the two of us return to our individual working files and adjust according to comments and in conclusion... the art to share with the client is soon rendered. Gray scale concept and full-color composition. Jane modeled as usual, and with her shape, cool socks and patience, I think this turned out to be a cool and compelling poster design. 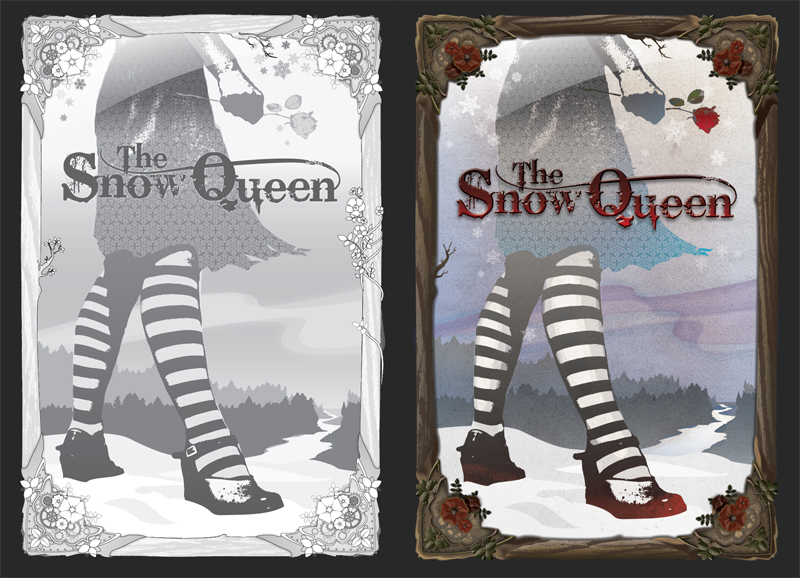 The above right image was shared with the client along with Cj's concept piece for the theater's holiday production. Without having to say it, we were both glad that "A Christmas Carol" was not the story the SJRep decided to tell this season. Instead we got to create something new and cool from an adaptation of Hans Christian Andersen's epic allegorical tale of childhood friendship and love. After the clients review of the two concepts (meeting 5), they felt that my artwork best represented their play. Does that mean mine was better, no. Did we then get to wave the checkered flag and begin to create the print collateral? Nope. After concept review, they are allowed two revision rounds and in this situation they felt that the figure was too mature, determined and strong. In their comments they preferred to illustrate a younger Gerta who looked more exposed, fragile and a few years younger. Oh, and they didn't like the socks! 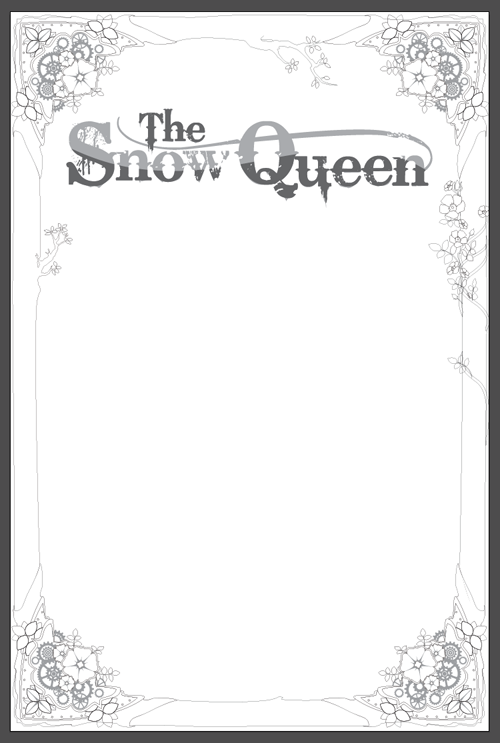 So from there I had to set out on a redesign of the artwork's focal point... who doesn't like an almost complete do-over? After quick work and some swift decisions we got sign off on revision one. It may now represent the adapted story and reflect the play better, but I'm still ultimately attached to the first design. Below is the final, I will let you decide. Final Final Final. New socks, more girly and exposed to the elements. I still managed to include the important stripes.